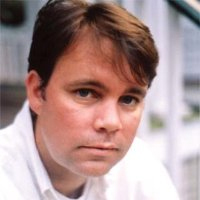 Mike Byrne is Founding Partner/Global Creative Officer of Anomaly in New York. Prior to helping launch Anomaly in 2006, he was a Creative Director at Wieden & Kennedy for eight years. We asked Mike 27 questions; here are his 27 answers. Nothing. Just coffee out of a thermos. 2. What’s the last great thing you binge-watched? 3. Your job title is Chief Creative Officer and Fantasy Baseball Commissioner. How do you split your time between the two? Fantasy Baseball takes about 10 minutes a day in season. I spread it throughout bathroom visits. 4. How is your fantasy baseball team doing this year? Not great but I’m an eternal optimist. 5. What’s your biggest professional concern? Making sure I grow and elevate other creative people so they make impact at Anomaly and for the rest of their lives. I’m perpetually afraid of being irrelevant so I make sure that we are always out in front of our business. And more often than not that’s acting like we’re not in our business at all. Listening. It’s such a wonderful thing to not talk and just listen. Observe. People watch. I’d do it all day if I could. 7. What marketing buzzword annoys you most these days? Language doesn’t bother me; it’s the people who use the language that bother me. Because it’s lazy. As a lover of words, I find using buzzwords simply demonstrates you’re comfortable with language, and you should never be comfortable with language. 8. Do you go to any place special when you need to be creative? 9. Is creativity innate or learned? Innate. We all are, even if we don’t realize it. 10. Since you started in the agency business, what’s the biggest change you’ve witnessed? Less tolerance for risk. And by risk I mean going with your gut. Everything has become so measured. 11. How have you (and your agency) adapted to this change? We have embraced it. Data. Data. Data. Show me the data. I love it. 12. How have the rise of online video and the advent of social media changed the way you tell stories? It hasn’t only in length. Get there faster. No one has time, so don’t assume that they do. 13. Digital ad spending will surpass TV spending this year, according to eMarketer: Is that a problem for agencies or an opportunity? If you go where the money goes you’ll be fine. If you choose to ignore it, you’ll be Kodak. 14. What’s your favorite vacation spot? Deep in the woods feeling very small. 15. What’s the biggest risk you’ve taken? Anomaly. I had a great job and lived in a comfortable city. Anomaly was a major risk with people I didn’t know that well. And we had very high ambitions, most of which we have not achieved yet. We’re just getting started. 16. What sports team has broken your heart the most times? 17. Your greatest professional achievement? Anomaly. A company that can play in the advertising world but really has become so much more. We don’t aspire to be a great agency; we aspire to be a great company. Have you ever looked up the definition of an agency. It’s horrible. We’re Anomaly. No one’s name is on our door. It’s the people in the building not the name. Our name is simply our philosophy. Deviate from the norm. Not normal. Be Stupid. All that. 18. Your greatest personal achievement? I’d say having kids but there are 7.5 billion people in the world. So that’s not that impressive. So I’ll go with number 2, and that’s never taking myself too seriously. 19. What song is on repeat for you right now? 20. Is there a cause you are passionate about? Anything to do with kids. 21. Who should play you in the movie version of your life? There will be no movie, hence no person to play me. 22. If you weren't CCO at Anomaly, what would you be doing? 24. What jobs did you have in high school and what lessons did you learn from them that you still put into practice today? I’ve had a job since I was in the 4th grade. I only know work. It keeps you humble like sports. 25. How do you use LinkedIn in your professional life? It connects me with like-minded people. Many of which I do not know. And I learn a great deal from them. 26. What’s something not on your LinkedIn profile? 27. What are you most looking forward to in 2017? Making it the best year I’ve had on this planet. For more insights from the best and brightest in agency marketing, subscribe to the LinkedIn Marketing Solutions blog.